Resurrected! The History of the Royal Regiment of Artillery gets a new lease on life. Discussion in 'Books, Films, TV, Radio' started by Orwell1984, Nov 11, 2018. Following the death of General Martin Farndale in 2000, publication of new volumes of The History of the Royal Regiment of Artillery stalled. Now The History Press has scheduled another installment in the series. 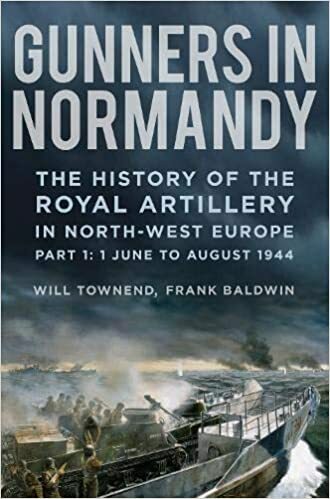 Authored by Will Townend and Frank Baldwin, Gunners in Normandy: The History of the Royal Artillery in North-West Europe, Part 1: June - August 1944, weighing in at almost 700 pages, is due for publication in April. Great news for RA history enthusiasts. Aixman, CL1, stolpi and 1 other person like this. And that's only volume 1 of 2 presumably for NWE?!? 1 of 3? I have "The Years of defeat". Was the sequel "M.E & Italy 42-45" ever published? Hope the size and dustjacket match the rest of the set, though. No it never saw publication. Hopefully with the revival of the series, it will be part of the schedule.